Home / Essays. 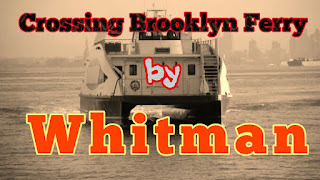 / Poetry / Walter Whitman / How has Whitman expressed the unity of all things in Crossing Brooklyn Ferry?. 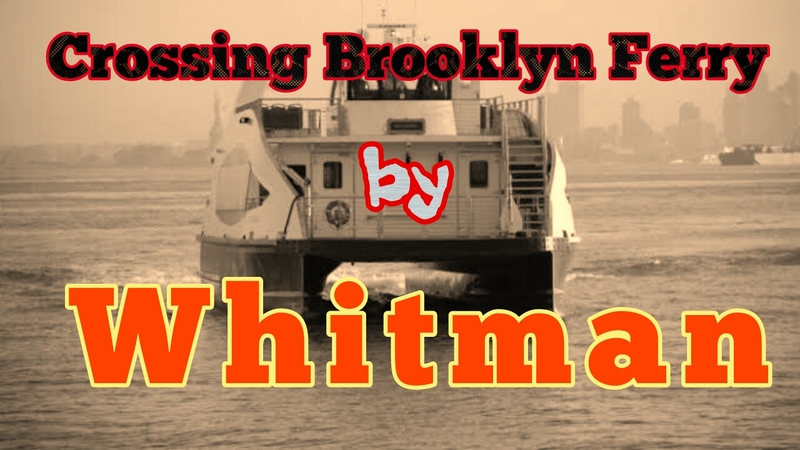 How has Whitman expressed the unity of all things in Crossing Brooklyn Ferry?. Whitman's philosophy was mysticism which comprehends his philosophy of the unity of all things. He believed that nature is alive and that there is an essential identity of the individual existence because they derive their existence from the supreme soul, God Who is One. Whitman was a believer in transcendentalism which encompasses the conception of the unity of all things and beings despite their discrete appearances. Things and beings are separate, but only apparently; essentially they are bound together. The relationships between things and beings, between the humans and other beings and things transcend the limitations of space and time. All things and beings that will be born in the future are also existent simultaneously with those bom in the present or the past. All things belong to a single, simple pattern in which everything has its particular position and place. The scheme is well-joined; all things that belong to it have their apportioned and allocated places. The poet feels himself disintegrated from the compact scheme, yet actually he belongs to it. Everything, however tiny is a part of this compact scheme. disintegrated yet part of the scheme. There is a paradox in the conception here: “everyone disintegrated yet part of the scheme”. A thing which is disintegrated from something cannot be a part of it at the same time. The paradox is resolved by the conception that visible, disparate things, are connected together by an invisible bond. I was one of a crowd. The people crossing the Brooklyn ferry are now experiencing and enjoying all the things that the poet had experienced and enjoyed in the past. Whitman's philosophy of the unity of all things is related to his concepts of mysticism and transcendentalism It is very clearly enunciated in Crossing Brooklyn Ferry.